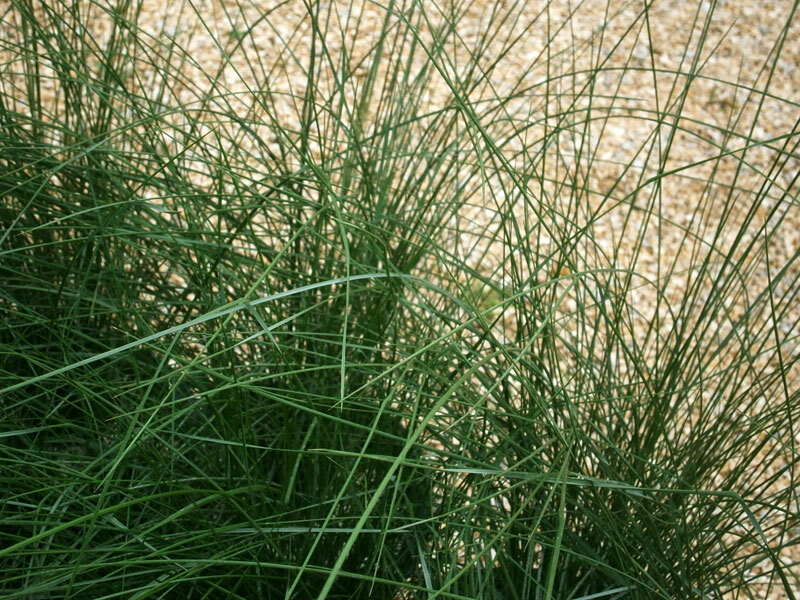 Ornamental grasses are a great way to add texture and variety to your landscape and Muhly Grass is one of our favorites! The long verticle lines of grasses are a nice addition and contrast to all of the typical broad leaf plants in the garden. 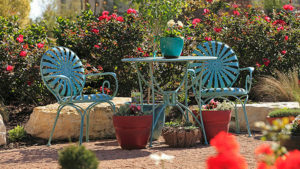 They also add movement and life to the landscape when the wind blows! 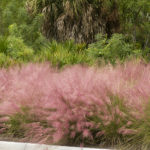 Muhly grass is a good choice for areas where larger ornamental grasses (like Pampas Grass) would not fit. It will grow to about 2-4 feet tall and 2-3 feet wide. Its thin grass blades are blue green in color and grow in an upright fashion. In late summer or early fall, delicate, wispy flower plumes appear. Depending on the variety of Muhly grass they can be light pink to purple. These look spectacular if planted in the east or west; the rising or setting sun will shine through the flower plumes, really lighting them up! 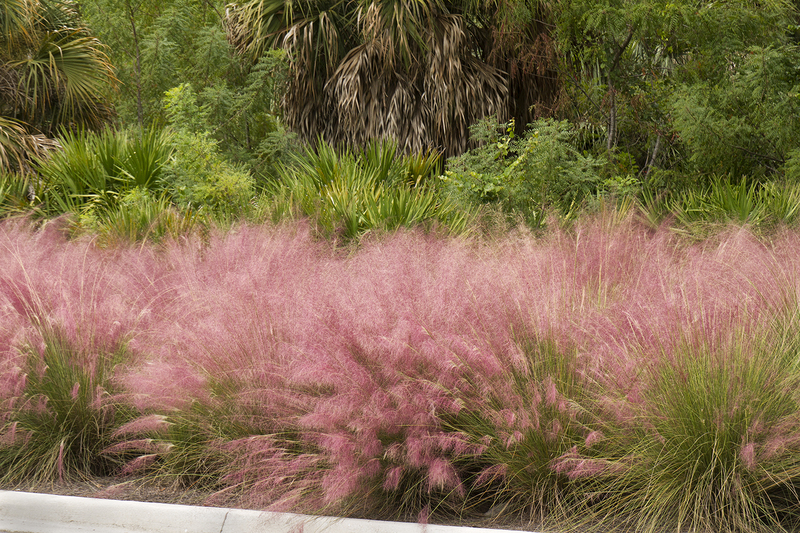 Muhly grass is also very versatile and can be planted in full sun or part sun. It looks especially nice when planted in large groups. Probably the best part is that this grass tolerates heat, drought and poor soil. It's great for dry spots that don't get a lot of maintenance. 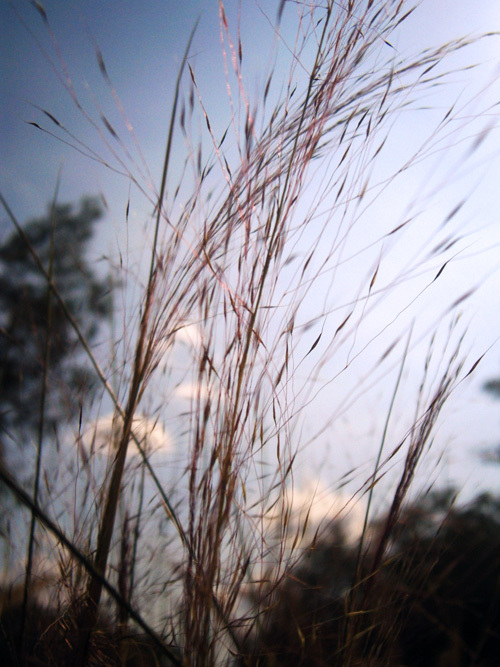 Plus deer tend to overlook ornamental grasses because of their tough texture and lack of moisture. Another great thing about this grass? It's on sale! Now through August 31st one gallon size (#1) Muhly grass is only $5.95 (regularly $9.99). We also have lots of other plants included in this summer special. Check out the full sales list here!